Countries approach energy transition from a variety of contexts, institutional arrangements, structural backgrounds and natural resource endowments. In that light, a “blind” comparative index analysis could yield limited benefits in terms of lessons learned or best practice identification. 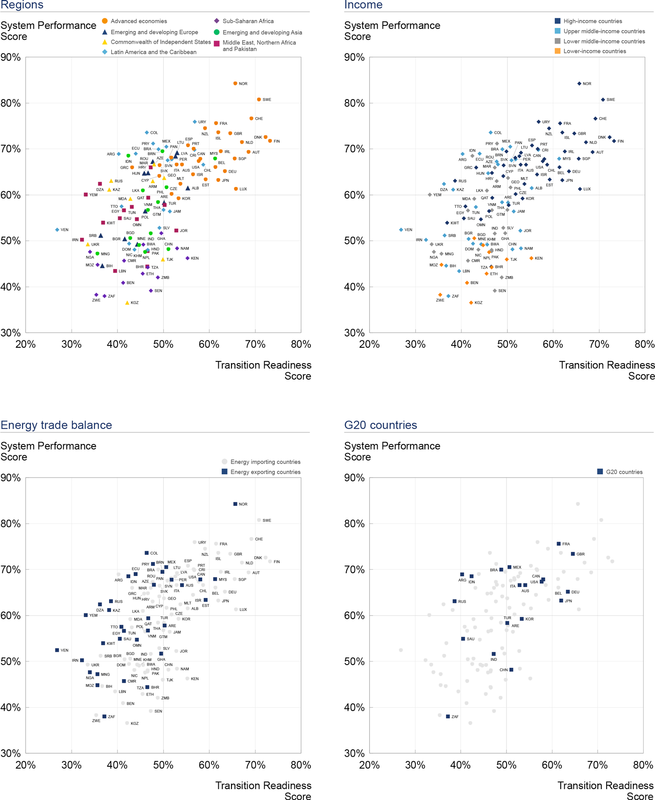 It is therefore beneficial to compare countries by peer group, defined by geography, development status, other unique characteristics of countries’ energy systems or economies – depending on the objective of the comparison. This will allow countries to recognize relative strengths and improvement areas and to prioritize relevant initiatives for their country-specific roadmaps. Figure 11 shows how selected peer groups compare on their system performance and transition readiness.